On this mini - album, Gordon plays tribute to his great friend and one of his formative influences, the innovative guitar stylist Bert Jansch. 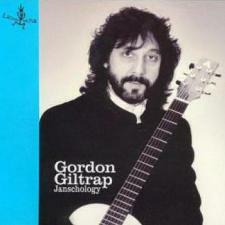 On Janschology, Gordon tells us about his big influence, Bert Jansch. Ever since he bought the Bert Jansch album at the age of seventeen, Gordon has been enormously impressed by the technique and sheer beauty of Janschs playing. In order to do justice to his big example come friend, Gordon has now tackled five tunes made immortal by the great Bert Jansch whilst adding one of his own compositions originally to be found on his Fear Of The Dark album. With Roots Gordon illustrates how much the Jansch style has affected his own way of playing.